Man Booker prize judges focused on “novels not novelists” and “texts not reputations” today, to come up with a longlist that overlooks some of the biggest names in contemporary fiction, including Zadie Smith, Ian McEwan and Martin Amis. 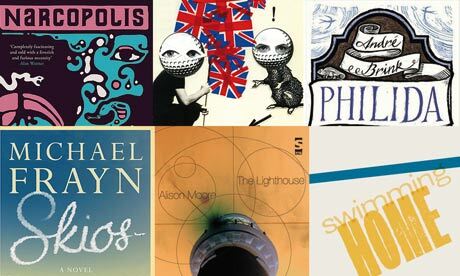 Smith, with her first novel in seven years, NW, out in September, was widely expected to make the Booker longlist, as were a host of former winners including John Banville, Pat Barker and Howard Jacobson. Instead, four innovative debut writers were chosen by the judges: Sam Thompson for his first novel Communion Town, the story of a city, Rachel Joyce for The Unlikely Pilgrimage of Harold Fry, in which a man leaves home after setting out to post a letter, Jeet Thayil for his tale of opium addiction in Mumbai, Narcopolis, and Alison Moore for The Lighthouse, which sees a man set out to find himself on a German walking holiday. Twenty-seven-year-old author Ned Beauman also made the cut, for his second novel The Teleportation Accident, a slice of historical noir set in 1930s Germany. “Who published a book, and indeed even the author, is of very little concern to Man Booker judges. We were considering novels not novelists, texts not reputations,” said chair of judges Peter Stothard, editor of the Times Literary Supplement. Heading the list of big names up for the prestigious £50,000 award this year was Hilary Mantel, chosen for her follow-up to the Booker-winning Wolf Hall, Bring Up the Bodies, a continuation of her life of Thomas Cromwell. She was immediately installed as favourite to take the prize by bookies, with Will Self‘s Umbrella, in which a maverick psychiatrist attempts to wake victims of the encephalitis lethargica sleeping sickness epidemic at the end of the first world war, coming in second. Bookseller Jonathan Ruppin at Foyles tipped Self as winner, describing the longlist as “one of the most delightful and unexpected in years”. Stothard said that the key criteria for this year’s judges was that “a text has to reveal more, the more often you read it”. “We were looking for books that you can make a sustained critical argument about, and when you read them again, you can make a different critical argument – not for books you can just say ‘wow, I enjoyed it’, or ‘wow, that was terrible’.” he said. New film: “Moonrise Kingdom” Why does everyone like this film?